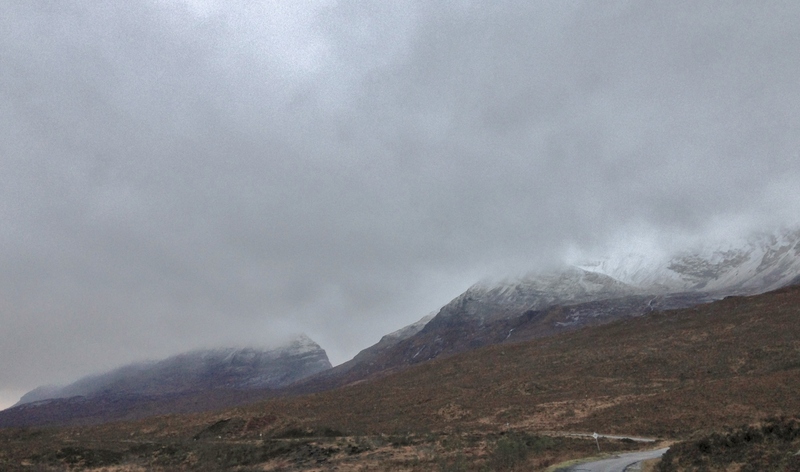 The Torridon mountains are looking wintry with a generous covering of snow particularly above 700m. 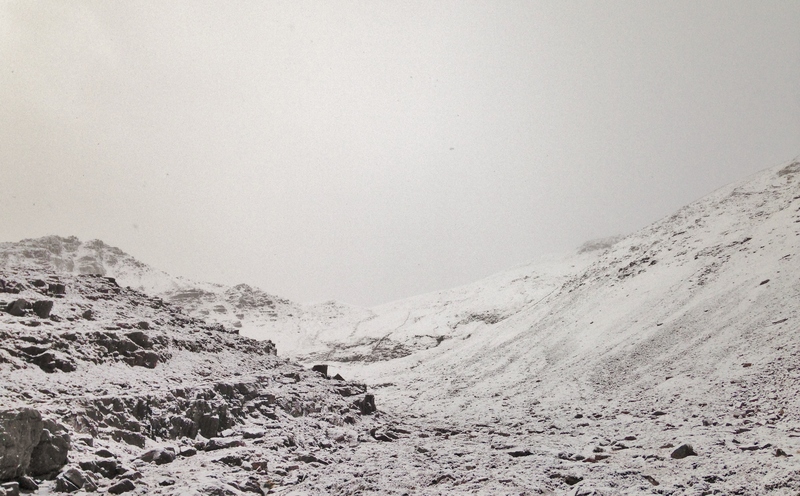 The snowline was around 450m by mid afternoon today and will continue to lower as it becomes colder. Heavy snow showers will persist through the evening and overnight, with further accumulations in the mountains at higher levels. Drier tomorrow, but remaining cold. 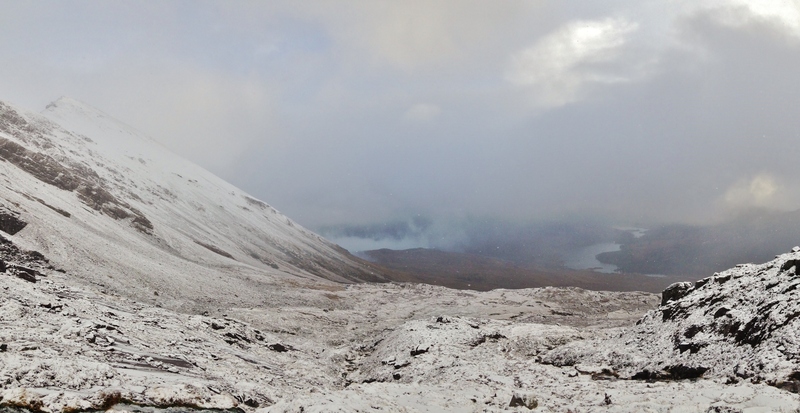 A hint of snow showing through the cloud base on Liathanch and in Coire an Laoigh on Beinn Eighe. Prolonged showers today, sometimes merging into longer periods of rain at lower levels. Locking across Glen Torridon into Coulin Forest and Loch Clair. Coire an Laoigh, Beinn Eighe, with the summit of Spidean Coire nan Clach upper right. Greatest snow depth around summit slopes. 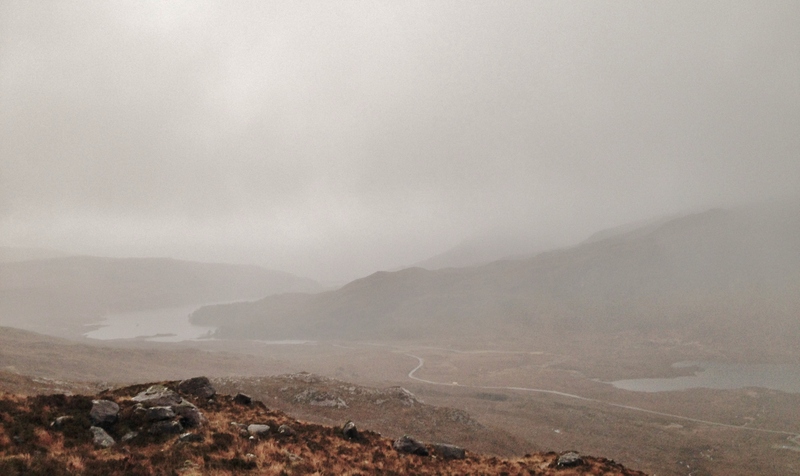 Looking east out of Coire an Laoigh. The summit of Sgurr nan Fhir Duibhe on the left. Needle crystals in the new snow precipitation.